"the complete "point' of the i ching ( i mean in a Very Broad sense) is to bring us where or what state finally? It is an ancient tool and gift from Masters, could take lifetimes of study and still get new things... but what is the 'culmination' persay when it comes to lifetimes of learning to live with and use and appreciate the i ching as practicers and devotees (and i am of the least of those) then what is our Release... "
What I would say is this: the I Ching is first and foremost a tool to help us live our lives in the present; and to understand reality better. It lets us understand our reality at this physical level (of what you could call our "daily lives") and to understand the flow of Time and Space in relative dimensions that exist below the surface of that. So as you grow in understanding of that, you gain in Awareness, your perceptions expand, your consciousness grows. And the I Ching does this through a system that isn't about trying to abandon or ignore our surface reality. This is a very important point. I will write more about this here, probably, and I talk about it explicitly in the book I'm working on; it is based on a spiritual concept called "yi-fa", which could be called "the Law of Change". It says that the best way to understand our "unmanifested reality" is by engaging in the manifested world. But the teaching of the I Ching (and the concept of Yi-Fa) also has an instruction that works on the personal rather than the universal level. This is the concept of the "Superior Individual". So the I Ching provides a framework of lessons for how to go from being a disconnected person into becoming someone who "embodies Heaven", who is Connected to this Reality. 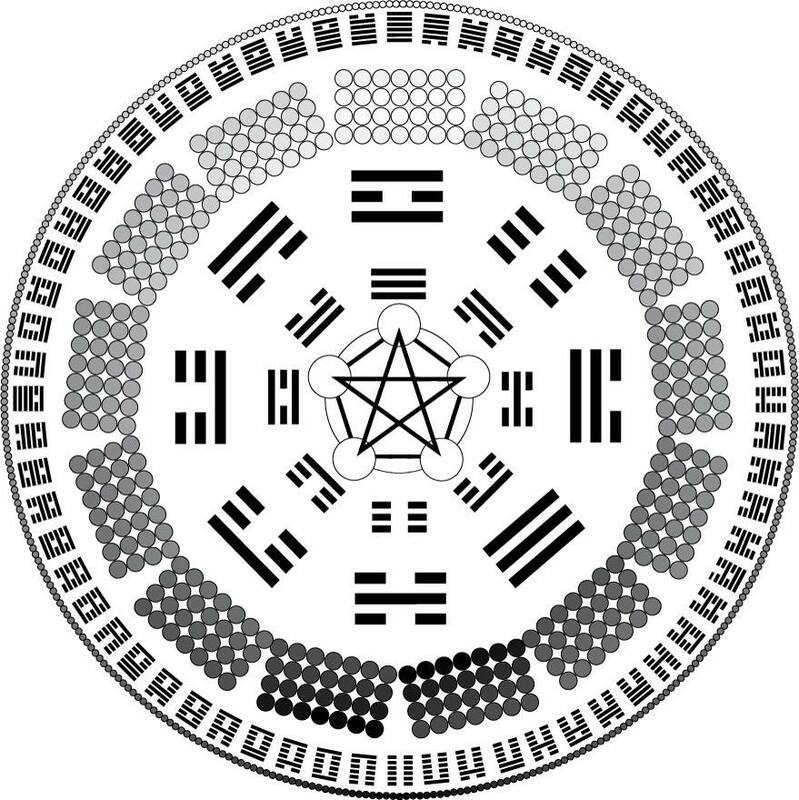 In each hexagram of the I Ching there is a hidden lesson about what we call the "Great Work", about how to develop what the I Ching calls "Virtue", which is not the standard term of that word as something like 'good behaviour', but rather the development of spiritual qualities within you that give you a kind of magical power, the power to Connect with "Heaven" (that is, with fundamental reality). But in terms of an end-point, there really isn't one. The I Ching, like other profound mystical teachings, ultimately expresses reality as a "Spiral"; there really isn't an end to anything as such, there's no point where suddenly you say "I'm done now, I'm perfect". But it's not just a circle either; it's not that you don't change, and there are important stages along the way. You grow, you end up fulfilling more of your potential, your birthright as a human being. In any case, if there is an end, I have not found it nor seen any hint of it. Lots of things end, including us (our lives end, stages in our lives end) but there's no big final state where Change stops. That's the fundamental teaching of the I Ching: it is named "The Book of Changes" because it explains that the fundamental truth of reality is Change. This is a new method I have devised for myself, after having felt dissatisfaction with the imperfect mirroring of change from the more popular “three coin” method, while at the same time finding the complexities of the traditional counting method using 50 yarrow stalks to be often too impractical. While it is called “four staves” and my own preference is to use four wooden sticks, you could in fact use any four two-sided objects; these can be coins, or flat sticks, or anything else, where the two sides are distinguishable from one another (coins with a "head" and "tail", for example, or sticks that have a mark on one side). In my own case, I use four carpenter's pencils (which are two-sided) and have marked one side of each with a black line to delineate the “Yang” side. 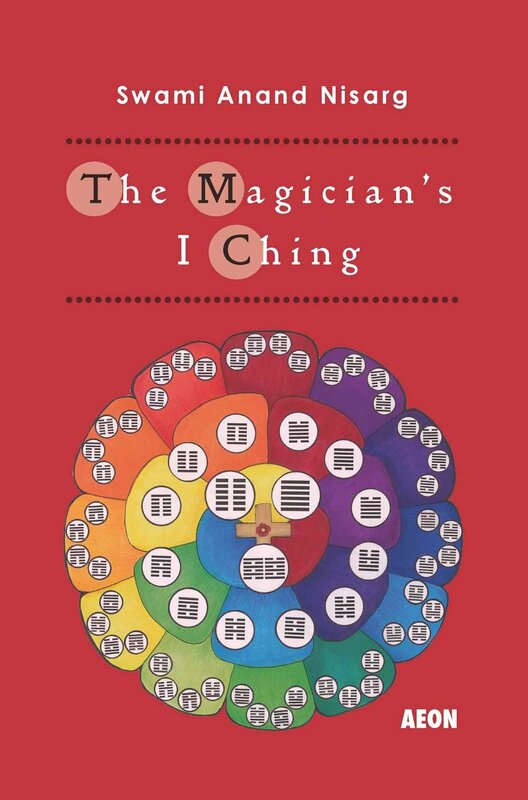 To perform a reading, begin with the ritual procedure delineated in the Magician's I Ching. You should be prepared with paper and pen, to note the results, and then you toss the devices. For simplicity's sake, assume one side of the device is the “yang” side, and the other is the “yin” side; If you are using something other than coins, its a good idea to mark only one side to allow for quick and easy distinction as to which side is which. If all four come up Yin, the result is a broken changing line. Draw a split line and put a mark or an “x” next to it, to note it is a changing line. If three come up Yin (and one yang): the result is a broken line. Draw a split line. If three come up Yang (and one Yin), OR if all four come up Yang: the result is a solid line. Draw a straight line on your page. As usual, you do this six times to generate the hexagram. The reason this method is preferable to the “three coin method” is that in that latter method there is an equal chance of getting a solid or broken line; and an equal (lesser) chance of getting a solid changing or broken changing line. But in the “Four Staves” method it is most rare to get a broken changing line (1/16 chance); slightly less rare to get a solid changing line (3/16); less rare still to get a solid line (5/16), and most common of all to get a broken line (7/16). These odds match those of the oldest method of I Ching divination, the complicated counting method of 50 yarrow stalks. The odds with that method are almost exactly the same as in this method. And it is important because this method more accurately reflects the probabilities of Change. It is more probable in reality that something be in a state of weakness than in a state of strength; and more probable that something strong will weakening, than something weak strengthening. This is the nature of reality; so by using this method you get the most accurate approximation of the laws of nature. Correct breathing is an essential part of Qi Gong. The most fundamental practice in Yi Fa Qi Gong is not any of the movement exercises, but rather the regular practice of Qi Breathing. Fortunately, Qi Breathing is very simple to learn and practice, and can be done at almost any moment throughout the day, allowing the student to cultivate and effectively circulate the Qi drawn into one's being during the practice of the formal exercises. The essential secret to effective Qi Gong practice is regular Qi Breathing, not only during the practices but throughout the day at various times. Even if you do not develop a regular practice of Qi Gong, Qi Breathing is a useful practice to do in any circumstance and lends itself to both physical well-being and to an enhancement of general consciousness. In the practice of the Yi Fa Society, "Virtue" is a key part of the system for spiritual growth. Even as one can only be 'Virtuous' by having an inner awareness-practice (as provided by Qi Gong, among others), and by having an understanding of the nature of reality and our place in it (as provided by the I Ching, among others), simultaneously one cannot make great strides in any practice of development without working on growth in the four fundamental forms of Virtue elaborated in Hexagram #1 of the I Ching. 1. Union: also understood as "Love", in that sense of seeking to make actual connection. It's ultimate expression is spiritual union through enlightenment, but in the immediate sense it can also represent connection, caring and affection for your life, your surroundings, and the people in it. The qualities associated with it are "Sublime", "smooth", and "easy". 2. Discipline: also understood as "determination", or sometimes "will". It is the physical manifestation of seeking one's true Will. It is thus also understood as "right conduct", that is, moving in the right direction as guided by one's own Superior Individual. It means not being afraid of hard work in that which is the passion of your heart. It is associated with "success", and also with clear vision, including power in divination (someone undisciplined will lack the vision and proper clarity to divine effectively). 3. Harmony: also understood as "justness" or "balance". It is about creating an inner balance of one's Yin and Yang qualities (the stillness and the motion within one's self, the introverted and extroverted, the soft and the hard); and likewise about creating a harmonious environment around you. It is associated with the quality of "beneficence", and is about creating harmony by showing generosity, justice (including the rooting out of wrongs), and goodness to those around you. 4. Truth: it is also understood as "wisdom", because only that which is real can be wise. No amount of speculation can be true wisdom, as it is not rooted in the firm foundation of Truth. Thus, this virtue is also understood as "Accomplishment". It is the most direct form of spiritual attainment: the ability to discern what is real from what is illusion. These four forms of Virtue will increase the more one practices (Yi Fa Qi Gong, and the study of the I Ching), and simultaneously the more one works on embodying these forms of Virtue, the more effective one's practice can become. The secret Virtue Code of the Yi Fa Society, the Zhi De, is the specific set of guidelines for personal development of Virtue, but it is nothing more really than an elaboration on the four points above, which are easy for anyone to understand and self-evident to work on. This is the first preliminary exercise of Yi Fa Qi Gong: "reaching to heaven". It is meant to clarify the outer body, removing any blockages and expanding our identification of consciousness outward. The Yi Fa Society's training program in internal alchemy is based on two pillars: the I Ching and Qi Gong. Yi Fa Qi Gong operates in harmony with the teaching of the elemental symbols presented in the I Ching. It is designed mainly for the opening up of awareness and consciousness through a gradual process of physical and mental transformations; it's ultimate goal is Enlightenment. This makes it different from many of the modern Qi Gong styles which are largely just practiced for good health. If you are interested in participating in the training program of the Yi Fa Society, please contact me here, on Facebook, or google plus. 1. The practitioner should be doing Qi Breathing every day. 2. The practitioner should be doing level 1 Yi Fa Qi Gong exercises every day; if they are practicing the exercise 4 times a day, they need to do so for at least 100 days. If they are doing less than 4 practices a day, they need to do so for at least 200 days. Before moving to level 2, they should have a strong technical understanding of the level 1 exercise, able to easily do its movements in a flowing fashion. They should be regularly engaging in self-testing for posture and form. 3.The practitioner should engage in a study program of the I Ching. As a minimum, they need to have studied one hexagram per day, reading its entry and contemplating its implications and meanings, for 64 days (in other words, studying all of the 64 hexagrams in this manner). Before moving to level 2, the practitioner should be able to draw the 8 trigrams from memory. 4. The practitioner should practice the sitting meditation of Yi Fa Qi Gong on a regular basis. 5. The practitioner should have practiced the vibration of the YI FA mantra on multiple occasions as a minimum, and have practiced the repetition of the slogan "For pure will, unassuaged of purpose, delivered from the lust of result, is every way perfect" on multiple occasions, and studied the effects both of these version of mantra practice have on their psyche and consciousness. 6. The practitioner should be familiar with the ceremony and method of doing an I Ching casting, and have performed a minimum of one I Ching casting on a question relevant to them before moving on to level 2. In addition to this, practitioners should spend time particularly contemplating hexagram #52, which governs this level of practice. They should be trying to actively develop the four virtues within them, particularly the virtue of Discipline (which is essential to the beginner) but also Union, Harmony and Truth. They should also keep a regular diary or record of their practices and experiences. Any student can feel free to contact me when they feel they have fulfilled the conditions for level 1 work and are ready to move on to level 2. At its core, the Yi Fa Society training is based on two pillars: Qi Gong and the I Ching. The former includes a series of exercises involving motion and stillness that are meant to alter one's relationship to the body and to their surrounding for the express purpose of expanding perception and awareness. Thus, it also includes the practice of meditation. The meditation practices of Qi Breathing and silent meditation are the essential underpinnings of the entire system. The I Ching is not just a divination system, although learning how to perform divination with the I Ching is part of the program. The I Ching work also involves self-inquiry; the study of knowing one's own being. It also includes the study of cosmology; of working with symbols that create a kind of ordering of the universe, through the sixty-four hexagrams (that detail the various phenomena of life), the eight elements/trigrams that form the building blocks of that order, and the underlying forces of Yin and Yang, of the Taiji (supreme oneness), and the emptiness (Wuji) that permeates it. By understanding cosmology and understanding our own self, we comprehend inner and outer reality alike. Without being able to understand reality, we cannot achieve an awareness based on truth, nor could we be truly ethical people. Yi Fa Qi Gong and the I Ching are based on the same foundational virtues, which are promoted and developed through the Yi Fa Society program. These are Union (or "love"), Discipline, Harmony (or "balance") and Truth (or "wisdom"). The system is also based on connecting to one's true nature or true Will, which the I Ching refers to as the Superior Individual. Those four practices of Virtue are essential to being able to uncover that true nature, to move away from associating with the 'conditioning' of our reactive ego and to move toward our real individuality. There are other details of introductory Yi Fa Society practices, such as working with ritual, vibration and mantra, and mind-training; and later levels introduce other practices as well. But those core elements of Qi Gong inner alchemy, the insights of I Ching study, the cultivation of Virtue, and Meditation, are central to the Yi Fa Society work at all levels. If you are interested in an esoteric training program to develop your connection to your true will and to work on progress toward transcendence, please feel free to contact us. These exercises presented in the video are not Yi Fa Qi Gong, but rather a set of warm-up exercises done before starting the first Yi Fa exercise of the day.